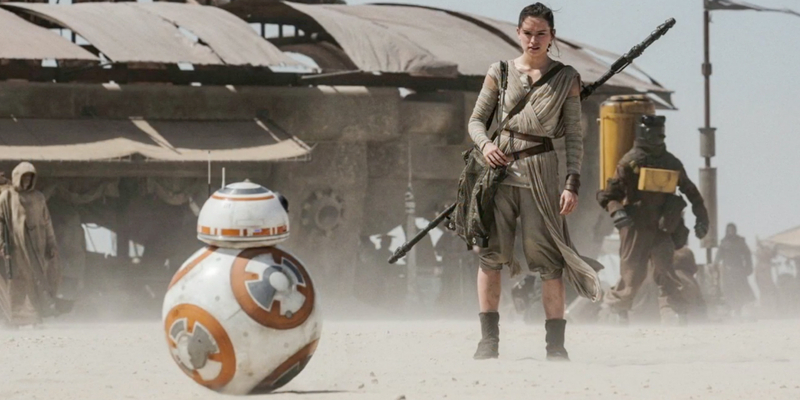 Star Wars 7 Box Office Predictions: The Biggest Global Launch in Film History? The international market has become an important factor in the success of blockbuster movies. Global ticket sales can save a movie from being unprofitable, like in the case of Pacific Rim, and it can make a profitable movie really profitable, like in the case of Jurassic World. There's no doubt Disney expects Star Wars: The Force Awakens to sell a massive amount of tickets, not only in its home market of the United States, but internationally as well. If it doesn't, there's going to be a whole lot of merchandise destined for a landfill. If early buzz is any indication, though, they won't be needing any extra trash bins. "In August, I was hearing as high as $315M. That would put this reboot in the realm of Jurassic World which this summer posted a record overseas opening of $315.3M. I’m now hearing some slightly more conservative estimates, although many are suggesting $300M is not out of the question. Whatever it does, it will be huge and as one person said to me today, it’s likely to break records in all markets across the globe." "Major markets outside the U.S. on the previous films have rather consistently been Japan, the UK, Germany, Australia, France and Italy — with Spain squeaking in once in a while to the Top 5. Those are all mature markets now and will be expected to play in the same field again. (One skeptical international exec says they expect both the U.S. and Europe to be bigger than Jurassic World, but “smaller everywhere else.”) Still, the growth markets of Russia, Brazil, Mexico and the rest of emerging Latin America and Asia Pacific [we] think the opening will be remarkable." Of course, not everyone has such unbridled optimism. Deadline cites the holiday season as a possible detriment to the film's box office potential, being generally less profitable than the summer blockbuster season due to competing activities such as "shopping, travel and the like." It does have nostalgia on its side, though, both from fans of the original trilogy and, to a lesser degree, its prequels. Whether or not the Force can awaken enough fans to outperform recent blockbusters, there's no doubt that Star Wars: The Force Awakens is going to sell tickets. In fact, it has already set records for advance ticket sales. In the end, though, the opening numbers will depend on how many people are willing to put down their Christmas stockings and pick up their newly-acquired toy lightsabers for a holiday trip to the movie theater.